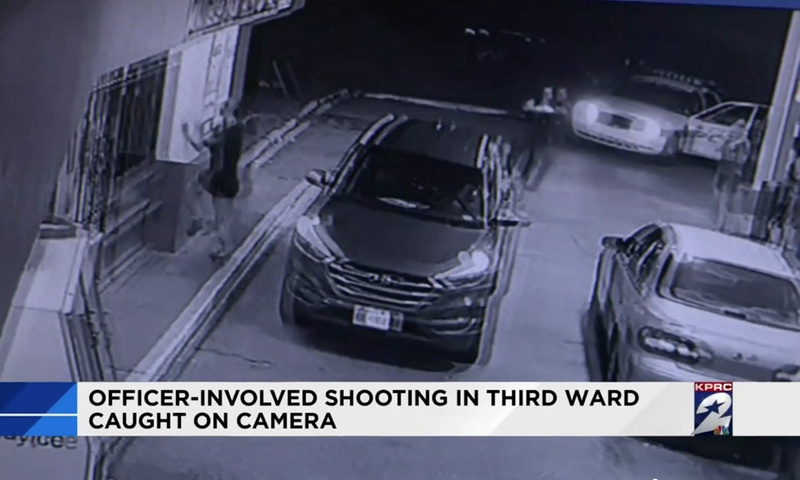 A Houston police officer shot a gun out of the hand of a man who officials believe was in the process of robbing the Gulf gas station Saturday night in Third Ward. The incident was caught on the store’s surveillance camera. The video shows the suspect displaying a gun before slowly walking toward the front door of the store. The suspect ignores the officer’s orders to drop down the weapon causing the officer to shoot at him, knocking the gun out the man’s hand. Naeem Sherif who is the store’s clerk, applauded the officer’s quick reaction. “It feels good that police responded right away — that there was nothing terrible that was going to happen,” Sherif said. The suspect, 26-year-old Leanda Jaroy Davis, is now facing a terroristic threat charge.